Finally! 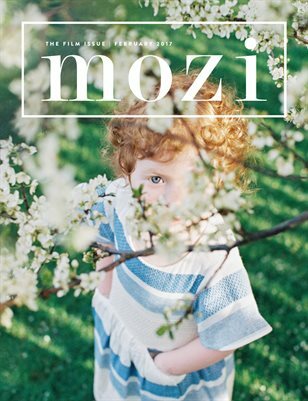 A Mozi issue completely dedicated to film! This issue explores the world of film through several different photographers and genres. This issue includes topics such as hybrid shooting, why choose film over digital, creating double exposures, making your work authentic, tips for starting into film, and much more. Our talented lineup of contributors include Ben Hood, Faith Teasley, Kirstie Marie Jones, Lea Ciceraro, Mary Beth Johnson, Rachael Kruse, Kristin Wahls, and Kim Hildebrand.